Sonys revolutionerende α9-kamera bliver opdateret med flere forbedringer til sin prisbelønnede AF-ydeevne og billedkvalitet, samt en ny række funktioner, der er designet til at forbedre den overordnede arbejdsproces for professionelle fotografer. Derudover vil nye softwareopdateringer ligeledes blive tilgængelige til α7R III og α7 III, hvilket tilføjer de nyeste 'Real-time Eye AF’-forbedringer samt intervaloptagelsesfunktioner til kameraerne. 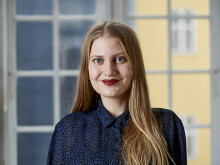 For mere information, læs den fulde engelske pressemeddelelse nedenfor. 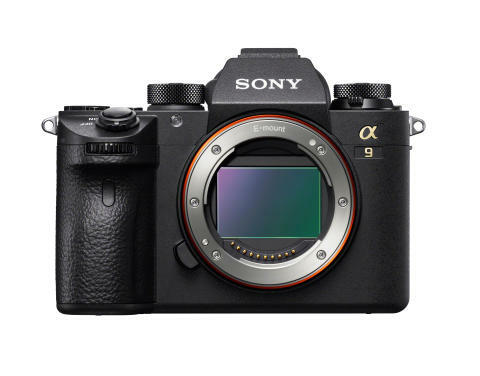 Sony’s revolutionary α9 camera will receive several major enhancements to its award-winning autofocus (AF) performance and image quality, as well as a variety of new features that are designed to improve the overall workflow for professional photographers.In addition, new software updates for the α7R III and α7 III will be available and will add the latest ‘Real-time Eye AF’ enhancements and interval recording capabilities. Image quality will also be enhanced with the new α9 software version 5.0.Specifically in colour reproduction, as the camera will more accurately account for subtle changes in light for smoother, more natural tonal gradations in elements like the sky.There is also a new AWB algorithm, which produces more consistently balanced images during burst shooting.Other new functions for efficient control and data management include My Dial and Dual Slot media menu improvement, rating and protect functions. The new software adds compatibility with Sony’s new ‘Imaging Edge Mobile’[iii]application, the successor to ‘PlayMemories Mobile™’. The new app offers several new capabilities such as the ‘Transfer & Tagging add-on’[iv] mobile application to assist professional workflow - allowing photographers to transfer images from their camera to smartphone simultaneously while also adding support for including IPTC metadata[vi] on transferred images.This is a welcome addition after the recent software version 4.0 update for the α9 that greatly enhanced the camera’s capabilities with FTP transfer. Version 6.0 firmware for the α9 camera will add Eye AF for animal eyes, an extremely exciting development for wildlife photographers.It will also add interval shooting functionality for creating time-lapse moviesvii. Sony’s popular α7R III and α7 III full-frame cameras will both receive enhanced Real-time Eye AF performance with new version 3.0 software. This will be available in AF-C mode with a simple half-press of the shutter button.Real-Time Eye AF for animalsi will also be available. Additionally, the cameras will receive interval recording functionality that will allow for the very simple creation of time-lapse movies[vii].The new feature can be set for anywhere between 1 and 60 seconds, with a total number of shots from 1 to 9999.AE tracking sensitivity can also be adjusted to ‘High’, ‘Mid’ or ‘Low during interval recording, allowing for reduced changes in exposure over the shooting interval. [iv] Add-on mobile application for ‘Imaging Edge Mobile’.Available countries: US/Canada/UK/France/Germany/Hong Kong/China/Australia/Japan. User registration is required to use this application.